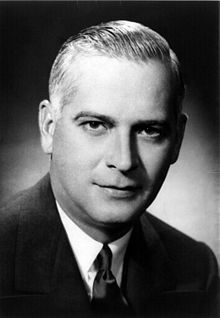 Today in Masonic History Dwight Herbert Green is born in 1897. Dwight Herbert Green was an American politician. Green was born on January 9th, 1897 in Ligonier, Noble County, Indiana. He served during World War I in the United States Army. After the war he attended Wabash College in Crawford, Indiana. He then went on to the University of Chicago to attend law school. After law school he opened up a law practice in Chicago before he was appointed the United States Attorney for the Northern District of Illinois. Green was a United States Attorney during the 1930's when gangs, including Al Capone, ruled the city of Chicago. Green was on the prosecuting team that tried Capone for tax evasion. After the Capone case, Green ran for Mayor of Chicago, unsuccessfully. In 1940, there was a backlash in the country against Democrats and the new deal so Green, a Republican, ran successfully for the office of Governor of Illinois. He was greatly helped by his record as a prosecutor and the fact that he opposed the political machine in Chicago. It was at the end of Green's first year as Governor that the attack on Pearl Harbor occurred. As Governor his job was to run one of the biggest states in the country during wartime. He was extremely popular due to his efforts and in 1944, he was reelected for a second term. In 1945, Illinois, like a lot of states around the country, faced servicemen returning home to their families with no place to live. During the War and the Great Depression there were very few homes built, this began to be a drag on Green's tenure as Governor. The year before the the election that would have given him a third term as Governor, tragedy struck Illinois. In 1947 the Centralia mine disaster occurred. There were 142 men in a coal mine in Centralia, Illinois when an explosion occurred. Many of the miners were killed burns, others were killed by what is called afterdamp, the poisonous gases which are released from burning coal dust. Only 31 miners escaped. Green was held politically responsible for not taking care of the miners. Democrats put Adlai Stevenson, future Democratic Presidential nominee, up against Green. Stevenson easily defeated Green and that ended Green's political career. Green left office in January, 1949. Green passed away on February 20th, 1958. Green was a member of Ligonier Lodge No. 185 in Ligonier, Indiana.